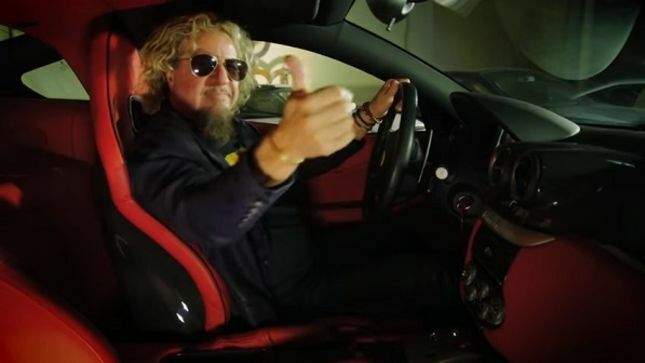 Sammy Hagar has issued the trailer for his new AXS TV series Rock & Roll Road Trip. Set to premiere January 24 on the US network, the 6-episode run mixes all-star guest appearances with performances as the Red Rocker drives across the country to jam with some of music's biggest names. In the series' first episode, Hagar and former Van Halen bassist Michael Anthony cruise the Sunset Strip and reminisce at the world famous Whisky A Go Go, before heading out to Motley Crue drummer Tommy Lee's house to cook, talk, and perform rock staples "Rock Candy" and Jeff Beck's "Going Down." Hagar then heads out to San Francisco for a special Grateful Dead episode, joining founding members Bob Weir and Mickey Hart as they relive the glory days of the Peace & Love Movement on Haight-Ashbury, delve into their musical influences, discuss what made the group so unique, and perform the band's classic "Loose Lucy", followed by a jam session with Hagar and Hart. "Something that's always bugged me is that fans get to see us either onstage in concert or in interviews, and that's about it," says Hagar. "There's so much cool, history-making stuff that happens off stage that fans have never really had access to, but I do. And that's where this show takes viewers! I'm hookin' them up with a real backstage pass." Other season one highlights include a Seattle session with Heart front women Ann and Nancy Wilson, and appearances by Alice Cooper, Alice In Chains guitarist Jerry Cantrell and others. Hagar and The Circle will release their first live DVD, “At Your Service”, on December 18. Also available as a 2CD set, Hagar’s latest supergroup project sees him teamed with bassist Michael Anthony, drummer Jason Bonham and guitarist Vic Johnson and performing tunes by Hagar, Van Halen, Montrose and Led Zeppelin.